The cause of death for rapper Mac Miller is still unknown, according to his death certificate. The certificate, filed with Los Angeles County, notes the cause of death as “deferred,” reported TMZ. That means the county coroner is awaiting toxicology results. The reason such a certificate is filed without the cause of death being known is so the family can move on with a funeral. Toxicology results typically take four to six weeks to be returned. A 911 call placed on the afternoon of Sept. 7 alerted first responders, who rushed to Miller’s house but found him dead. Police officers searched Miller’s home in a quest to determine how he died, but law enforcement sources told TMZ that they only found a small amount of white powder at the scene. Law enforcement officers believe, based on witness interviews and other evidence, that Miller’s friends swept the house clean before calling the police. 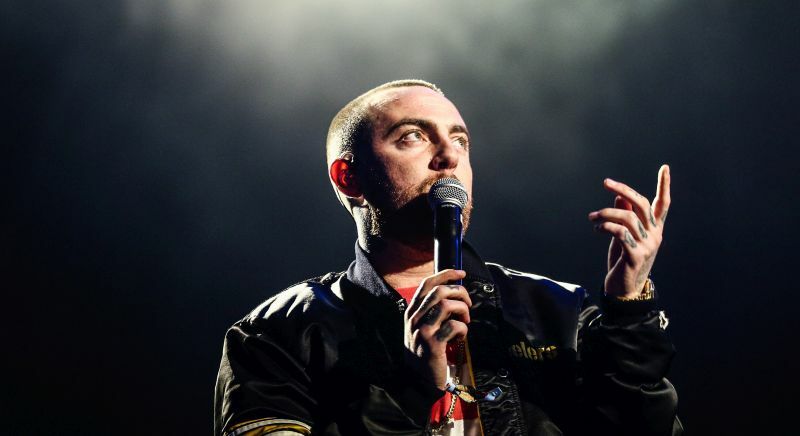 “Cops believe Mac overdosed on drugs, and our law enforcement sources say it makes no sense to them that someone who consumed a fatal dose would have the foresight to scrub the house of pill bottles, illegal drugs, as well as drug paraphernalia on the off chance they might die,” the outlet reported. A source told People magazine that Miller went into cardiac arrest after suffering a drug overdose. Miller was just 26 years old when he died, and had dealt with alcohol and drug problems in recent years. He crashed a car into a light pole earlier this year and was arrested on suspicion of driving under the influence. He admitted being drunk in an interview in July. “What you don’t understand is that I lived a certain life for 10 years and faced almost no real consequence at all,” he said. “I had no version of the story that didn’t end up with me being fine. Yeah, I made a stupid mistake. I’m a human being. Like, I drove home drunk. But it was the best thing that could have happened … I needed that. I needed to run into that light pole and literally, like, have the whole thing stop,” he said. Friends said that the way Miller partied was not healthy, but indicated he was trying to clean himself up. Shane Powers said on his podcast following Miller’s death that his friend wasn’t living a healthy life, when discussing how Miller’s ex-girlfriend Ariana Grande was trying to help Miller get sober. “This little girl was unbelievably involved and helpful to him being healthy. Because whether he’s an addict or not, the way that Mac partied was not healthy,” Powers said, reported W magazine. “There was no one in his life more ready to go to the wall for him when it came to him being sober. And she was an unbelievably stabilizing force in his life, and she was deeply helpful and effective in keeping Mac sober and helping him get sober,” Powers said. Did you enjoy this article? Continue to read more stories here.